Survival of the fittest doesn’t work unless there are a few accidents along the way. 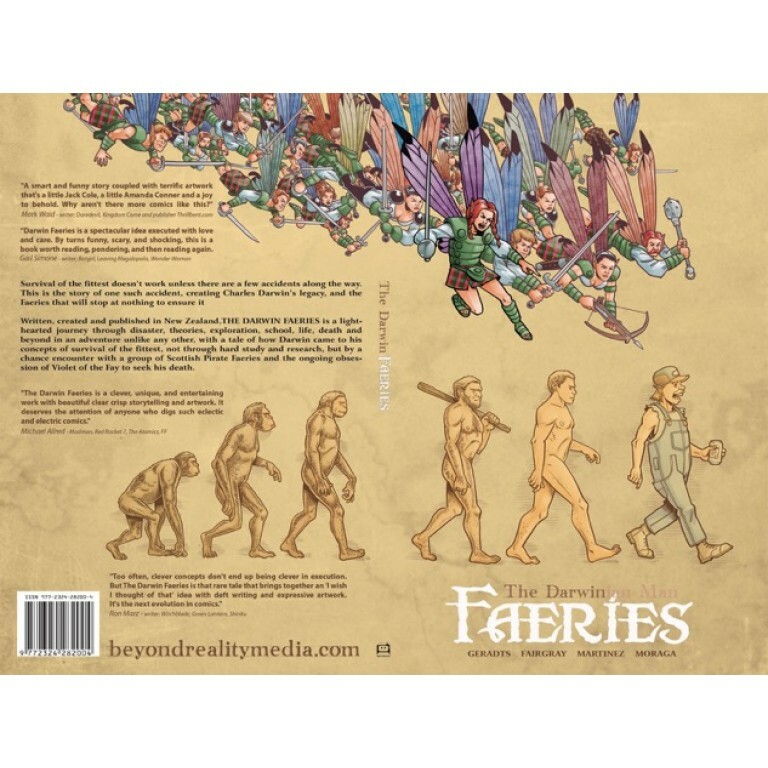 This is the story of one such accident creating Charles Darwin’s legacy, and the Faeries that will stop at nothing to ensure it. The Darwin Faeries is a lighthearted journey through disaster, theories, exploration, school, life, death and beyond in an adventure unlike any other, with a tale of how Darwin came to his concepts of survival of the fittest, not through hard study and research, but by a chance encounter with a group of Scottish Pirate Faeries and the ongoing obsession of Violet of the Fay to seek his death.